TWELVE O’CLOCK HIGH has remained leader of its squadron—that of the Air Force subgenre—ever since it flew out six and a half decades ago. This venerable 1949 classic may be left in the slipstream by modern special effects and no-blood spared realism, but it can be dependably taxied out for another mission, a nostalgic revisit, letting new viewers honor the grandfather warhorse of movie tributes to those boys (they were, most of them) who sallied into the wild blue yonder to help bring Hitler to his doom. 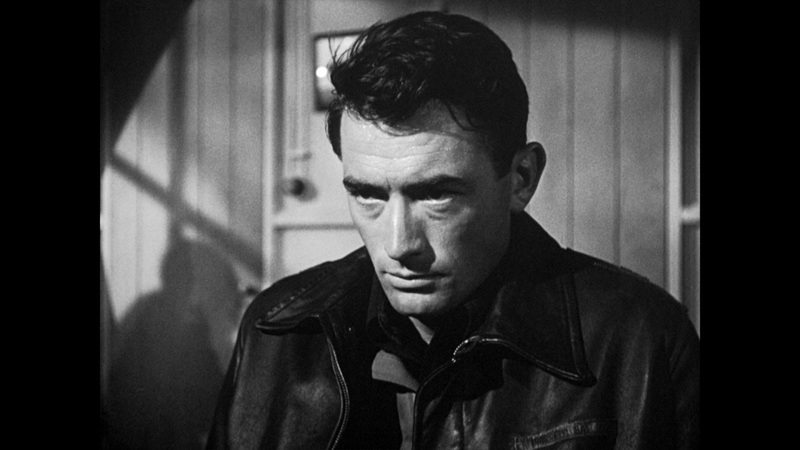 Gregory Peck stars as an iron-willed commander, bludgeoning his combat-weary crews into murderous raids over targets protected by swarms of Luftwaffe fighters above and battalions of 88mm flak-guns below. 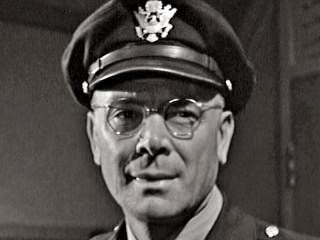 The critically acclaimed film drew Peck a deserved Best Actor nomination (his fourth in five years), as well as one for Best Picture (losing to All The Kings Men), and it won the award for Best Supporting Actor from the solid work of low-keyed newcomer Dean Jagger, as well as one for the Sound crew. Other actors evincing fine turns include Hugh Marlowe, Gary Merrill and Millard Mitchell. Henry King directed; he and producer Darryl F. Zanuck decided to make extensive use of actual footage taken by both American and German crews of the fighting—it’s pretty darn impressive. 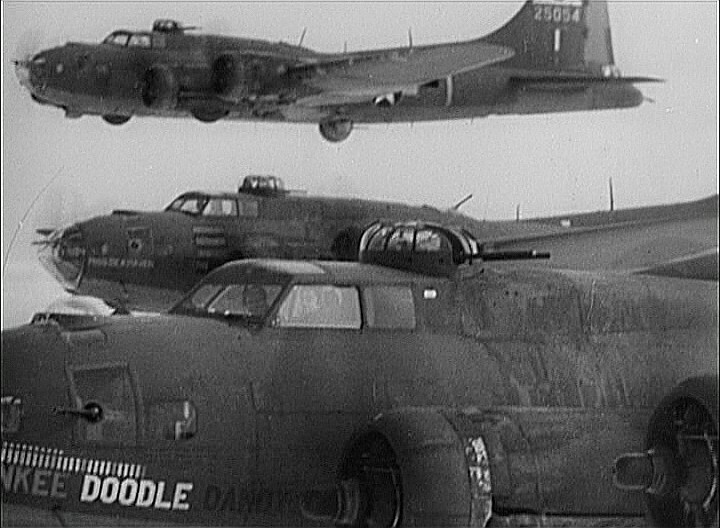 I think it does rather soft soap things by having our B-17 crews too easily blasting the enemy Messerschmidts, but there was only so much bumming reality a postwar audience could accept. Command Decision beat this off the runway by a few months, and it’s been followed over the years by a number of less-successful attempts to grapple with the aerial conflict, including the bleak The War Lover, the non-event Hanover Street, the disappointing throwback Memphis Belle, the grand-scale absurdity Catch-22. With its strong acting, intelligent script (based on personal experiences of its writers and on real-life characters fictionalized for the plot), and its non-rah-rah humanizing of the stress, it bullseyed #6 of the year’s films, with a take of $4,025,000. 1949 started what amounted to a Reflect-on-Combat cycle, with the ‘groundpounder’ classics Battleground and Sands Of Iwo Jima adding their salvos to the mix. Famed stunt-flyer Paul Mantz was paid what was at the time the highest amount ever for a stunt, $4,500, to crash-land a B-17 on a runway at the start of the film (something my uncle saw in real-life when he first landed in England for his terrifying service as tail-gunner). Mantz’ ballsy/crazy run of skill/luck finally ran out in 1965, working on The Flight Of The Phoenix. A decent TV series was spun-off in 1964, running for three years. Here and there in the taut 132 minutes, film buffs with quick eyes will spot veteran character actors Paul Stewart, John Kellogg, Bert Freed, Kenneth Tobey, Russ Conway, Paul Picerni, Don Gordon and Harry Lauter. The officer Peck’s ‘Frank Savage’ was based on, Col. Frank A. Armstrong Jr., had a nervous breakdown from driving his men to their terror-laden tasks. No wonder, when you consider these chilling figures: 18,418 US planes were lost to enemy action in Europe, with thousands more to non-combat causes. 40,000 airmen were killed, 12,000 listed missing were never found. All told, the United States lost 43,581 planes overseas against the Axis Powers, and a staggering 13,873 stateside, with a further dismal 1,000 lost just getting across the oceans. You think we can’t solve our infrastructure problems if we put our minds and backs into it? For years “The Great Escape” has been my favorite film until today when I watched this one. An amazing story and impecable balance in the acting made this a film that I will be revisiting for years and years to come. You said it best: intelligent script, strong acting (wow, Peck!) and the non-rah-rah humanization made this a beautiful and unique experience. Thanks, Mark!